Short integer solution (SIS) and learning with errors (LWE) are two hard lattice problems. These two problems are believed having huge potential in application of cryptography. In 2012, Ding et al. introduced the first provably secure key exchange based on LWE problem. On the other hand, we believe that it is very difficult to do key exchange on SIS problem only. In 2014, Wang et al. did an attempt, but it was not successful. Mao et al. broke the protocol by an attack based on CBi-SIS problem in 2016. However, their attack is not efficient. 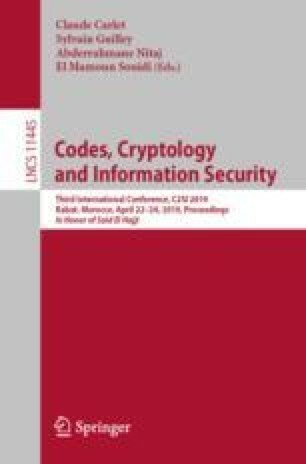 In this paper, we present a extremely straightforward and simple attack to Wang’s key exchange and then we will construct a key exchange based on SIS and LWE problems. This study is partially supported by U.S Air force.